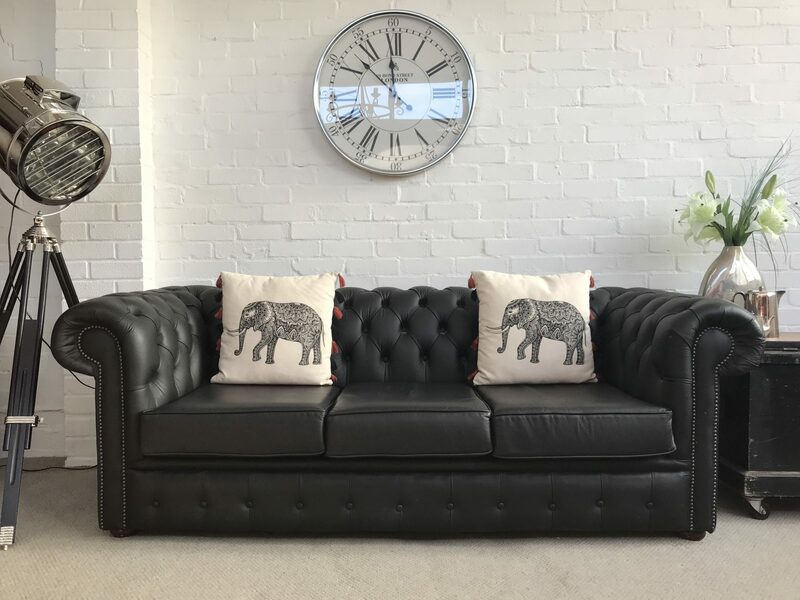 Stunning Black 3 Seater Chesterfield Sofa Bed. 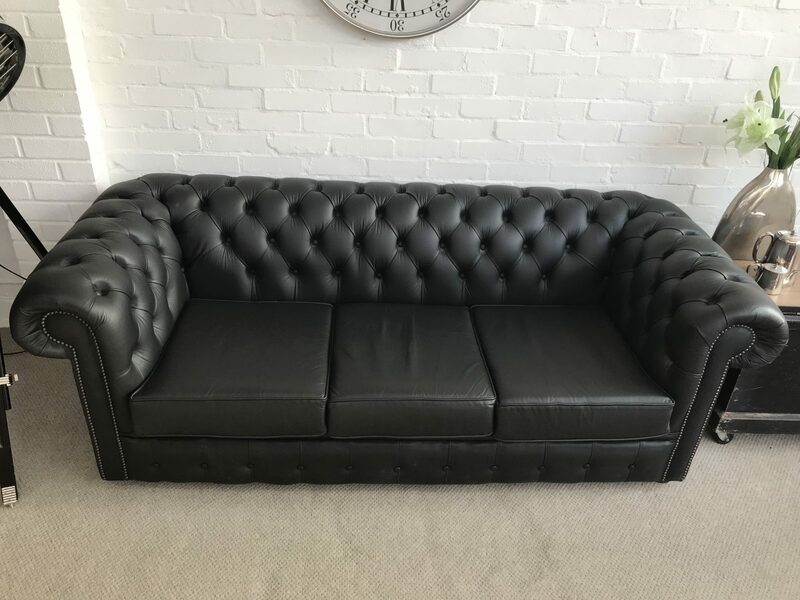 Enquiry about Stunning Black 3 Seater Chesterfield Sofa Bed. This one year old leather chesterfield sofa bed is in fantastic condition having been very lightly used. It is finished in a striking Charcoal Black and is in perfect working order. We also have an immaculate Rich Brown 3 seater chesterfield sofa bed priced at £845.Circa 2017.